If you could, how would you rearrange your day? Would you get rid of certain aspects of your job? Would you add your favorite hobbies or pastimes? I want you to imagine what a day in your dream life looks like for a moment. Then I want you to write it down! 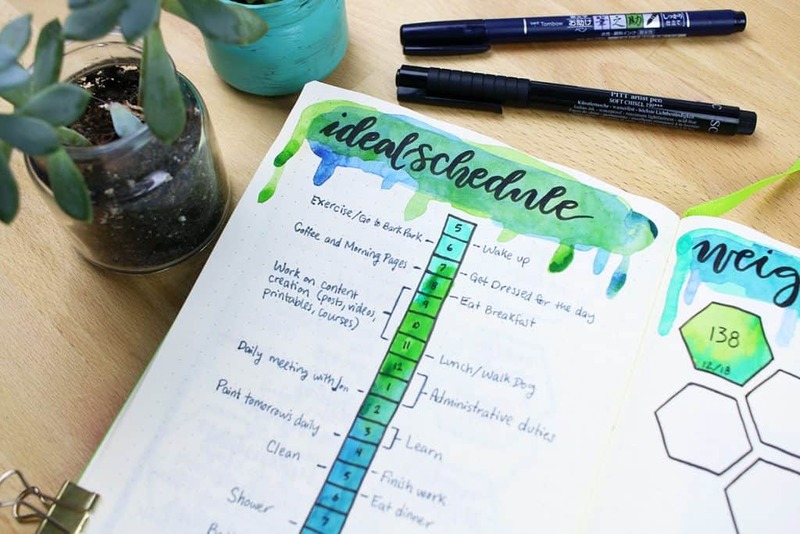 Creating an ideal schedule for yourself is a fun and powerful exercise to help you focus on your goals and find the drive to achieve them. 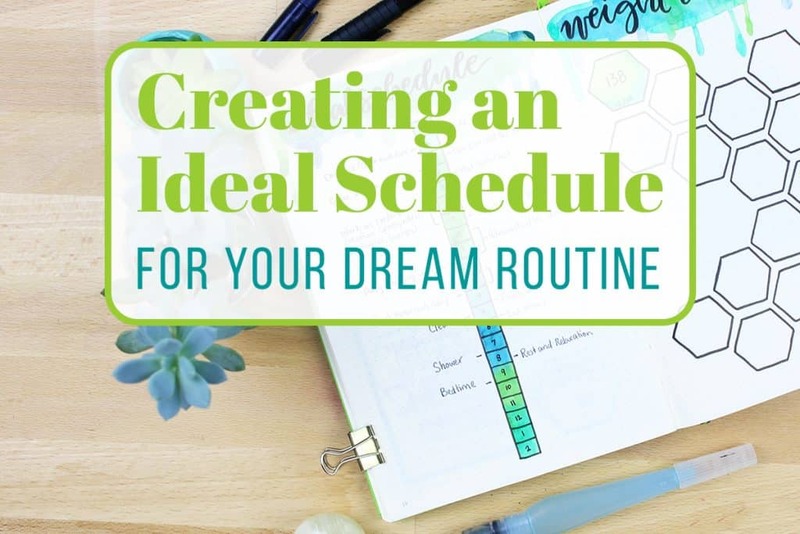 There are a ton of ways you can create the layout for your ideal schedule. I chose to go with a single column in the center of the page with the hours of the day listed out. Then, as I thought up my ideal schedule, I can write a note out to the side of the column. This is super easy to do, and it requires little effort to set up. 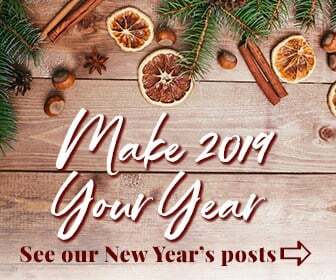 While it is easy to create, actually thinking up what to add to your ideal schedule – or what to remove – is a bit tougher than you might think. The trick with making your ideal schedule effective is being totally honest. Don’t hold back! If you absolutely loathe your job, cut it out of your daily schedule. What would you be doing instead? It might be your hobby, volunteering, or another profession. Don’t restrict yourself to your current life if your current life isn’t making you happy. Anything is possible in your ideal schedule. When you start to piece together your ideal schedule and imagine what your dream routine looks like, you are stripping away some illusions. You stop seeing your big goals and dreams as huge, unachievable accomplishments. Instead, you can see what they look like on the ground level – as a part of your daily schedule. Say you want to be a writer in your wildest dreams. If you create your ideal schedule, you don’t see the terrifying step of writing a book. Instead, you see the hour of your day that is devoted to writing. That takes away the perception of a goal being super far away. After all, your dream life is only made up of individual days. Drawing out your ideal schedule is just creating another piece of the puzzle for yourself. You can think up your big goals in life, and you can see the big picture. Once you create your ideal schedule, you get to see the action on the ground level. That powerful view of your dream life is an excellent motivator moving forward. 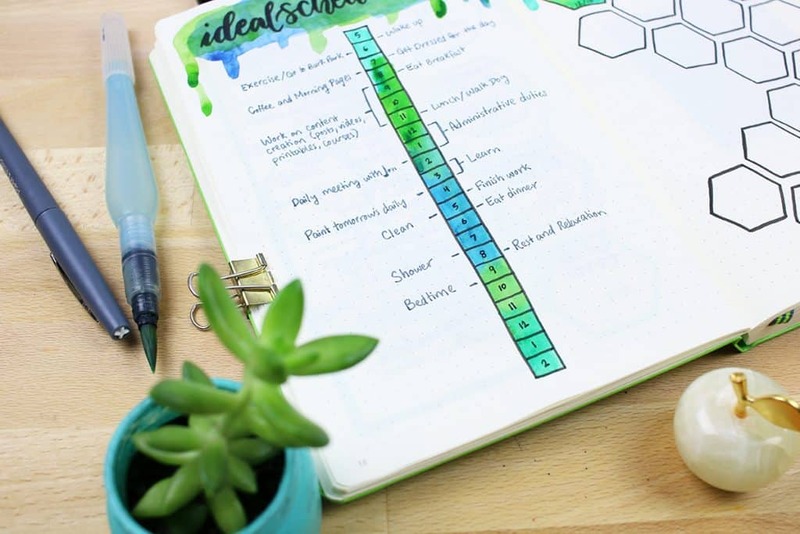 These blueprints will help you find ways to slowly shift your current schedule to your ideal schedule one step at a time. And just as my mantra for 2018 says – slow and steady. Every day is a step in the right direction. Every day is progress toward your ideal life. I have heard of an Ideal day schedule before, but was a little confused. This explained it perfectly. Thanks for having such a useful and inspirational blog. I’m so glad to hear this was explained in a way that was easy to understand! Thanks for being here Krista ? Such a great way to put the timeline exactly in the middle <3 I can put on the left side my private appointments and on the right my work-related ones. This set-up gives me clarity and shows me as well, if my life is balanced, a big goal of mine for 2018. I was running too much in job mode the past years. That sounds like a great way to arrange yours Ela! Thanks for reading ? So glad this was helpful for you Jessica! My goal for January is to figure out how to effectively use the 3 1/2 hours left in my day. Is there something you enjoy doing, Dee? I think that would be a great place to start. Maybe something that includes some self-care to wind down from such a busy day? This is such a great idea, I really appreciate you sharing this with me. Thank you so much! Thank you for reading Jane! Hi! 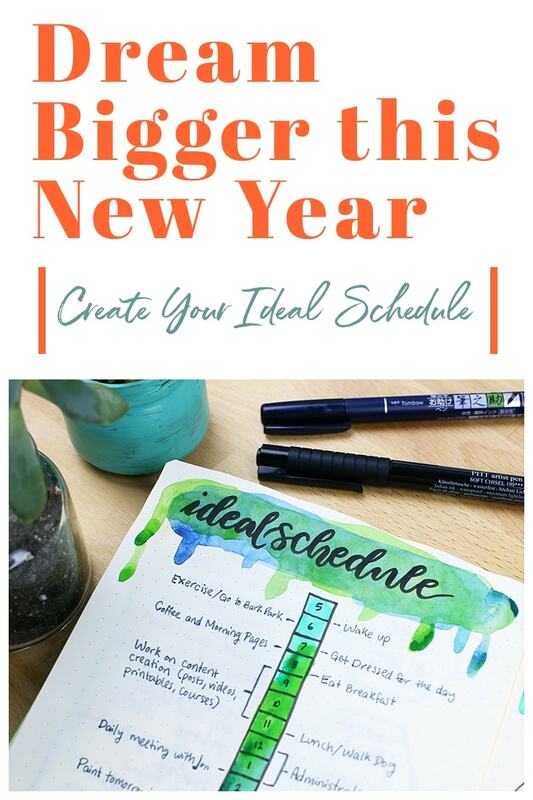 I really like the idea of an “ideal schedule,” but I’m a little confused by some of it, I guess. I’m an athlete and still in school, so my schedule changes day to day. Is this schedule supposed to show my actual schedule? If not, how do I incorporate practices, a nannying job, etc? If your schedule varies greatly each day, then it may be a bit harder to use it for the busy parts of your day where your schedule changes. However, if you want to be up by a certain time to do morning pages before you go on about your day (just as an example), or you want to find time to fit in a run/ workout or even some other passion you have, you could still use this for the beginning and end of your day!